After taking a look back at the year that was, I’ve planned for the year I want in 2011. Like before, I’ll group my goals into three groups: Financial, Personal and Blog. There are only 3-4 goals in each category. I’ve learned through the years that the fewer in number, the more likely they are to happen. I also tried to make all goals specific, measurable, attainable, realistic and time-based which are otherwise known as SMART goals. My 2011 financial goals were published at Couple Money last week so I won’t repeat the explanation. The debt goal is why you don’t read many investing articles yet, but next year I may be writing about zecco trading. Financial Goal 1: Pay off $24,000 in non-mortgage debt by December 31, 2011. Financial Goal 2: Prepare wills for both of us in the first quarter 2011. Financial Goal 3: Prepare monthly budgets and reconcile every weekend. As you might remember, my goal to lose weight the past year was a fail. I’ve decided to break the number down into smaller chunks. It might make a difference mentally. Personal Goal 1: Lose 5 pounds a quarter. We take at least one vacation every year, but did change our plans last year to cut costs. This year, the plans are to go on an Alaskan cruise with my parents, siblings and their spouses. The challenge is to pay for this without going into debt for it so I plan to prepay as much as possible and have enough for excursions, tips and extras. Personal Goal 2: Take Alaskan cruise without accruing any debt. This is not one of my favorite things but I know I need to exercise for good health. The only exercise I semi-like is walking and I once walked a full marathon. I like to have purpose in walking so I’ll walk to prepare for a half marathon in November 2011. Personal Goal 3: Walk for exercise 3 times a week and build up to half marathon in November. When I made my goal last year, 100 subscribers seemed like quite a stretch. Of course I didn’t know I’d become part of the Yakezie Network and end up with 315. My goal is to triple that number plus. Blog Goal 1: Increase subscriber count to 1,000. A couple of months ago I thought $500 a month would be a good target for 2011. Well, I surpassed that the second half of the year so I’m doubling up on this number. Blog Goal 2: Increase blog income to average of $1,000 a month. I have an idea for an e-book and plan to get started and publish it next year. This is part of my greater strategy of creating alternate forms of income. Blog Goal 3: Write 1/3 of the e-book each quarter and publish it in the fourth quarter. Publishing a biweekly Bucksome Boomer newsletter is something I want to do this year. It will include highlights from the blog as well as unique content. Blog Goal 4: Send out first newsletter 2nd quarter 2010. I’ll include progress notes in the monthly updates and a thorough review quarterly. Thank you for keeping me accountable. I can’t wait for the New Year to start. 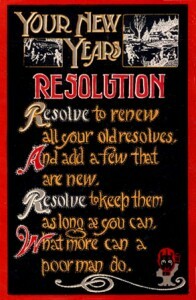 Now, what are your plans for 2011? Love the goals Bucksome! I know you can do it! $1,000/month online and a quarterly weight loss goal sound great. I went on an Alaskan cruise b4 via Norweigan Cruiselines. Fun, but cold! So the aurora borealis my last day. Kay Lynn, Great set of goals and I can’t wait to read the ebook! Well, I guess I’ll have to wait, but I’m sure it will turn out great! These are excellent goals! As someone who lost 35 lbs. 32 years ago, I suggest to monitor weekly. This is true for all goals, that way you can adjust faster and be more effective to reach your goals. Believe me it works! I have kept the weight off for all these years. Short and clear set of goals! I look forward to you ebook and newsletter! Good luck and wish you and your family a very happy new year! Wow! Congratulations on the success with your blog! That’s great to have nice amount of alternate income on the side. I’ve never been on a cruise, make sure you have an Alaskan baked pie (is that what they’re called?). Kay-Your goals sound great! I’ll lose weight with you as it is my #1 personal goal for the year! I’m also excited about your upcoming e-Book. My retirement guy just told me that it was never to early to start planning for the future just this past week! Wow, you have such detailed goals for every aspect of your life! Very respectable! @Sam, it took me a second to figure out HNY. (Slow on the uptake). My husband and I have been to Alaska before, but my parents really want to go and make it a family trip. For me, it’s about the memories we’ll create as a family. @Krantcents, congratulations on maintaining that great weight loss! I will weigh in weekly and am tracking the weight on my calendar so I can see the progress. @Moneycone, happy new year to you and your family as well. @Buck, I will definitely write about the trip. From a financial viewpoint as well as vacation highlights. @ Young and Thrifty, It’s called “baked Alaska” although it’s not one of my favorite desserts. All the ships seem to want to serve it even if you’re in the Caribbean, LOL. @ Nikki, your advisor is absolutely correct! It’s never too early (or too late I like to say). The e-book is right up your alley and I’ll have to share details as I make progress. @ Khaleef, this method worked last year so I’m sticking with it. 🙂 HNY! Enter the Bucksome Bulletin Giveaway!